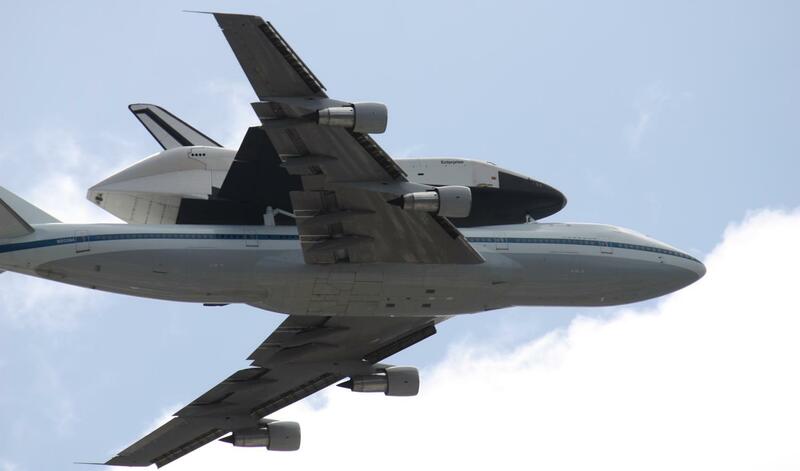 On its final trip through the air, the space shuttle Enterprise rode atop a modified jumbo 747 jet and mesmerized residents of New York City earlier today as reported by ABC News. Coming from Dulles International Airport in northern Virginia, the jet made a couple flyovers while over New York City. This allowed tourists to snap as many photos as possible while the shuttle passed locations like the Statue of Liberty, the new Freedom Tower, the Sept. 11 memorial in lower Manhattan as well as the location where Capt. Chesley Sullenberger splash-landed US Airways Flight 1549 in the Hudson River more than three years ago. New York natives were also taking photographs from windows in skyscrapers and from the top of rooftops around the metropolis. NASA had to previously reschedule the trip for today after inclement weather kept the plane grounded earlier this week. After buzzing around NYC, the jumbo jet eventually landed at Kennedy Airport. On Twitter, NASA officials announced “Touchdown at JFK!” and included a picture of the aircraft. 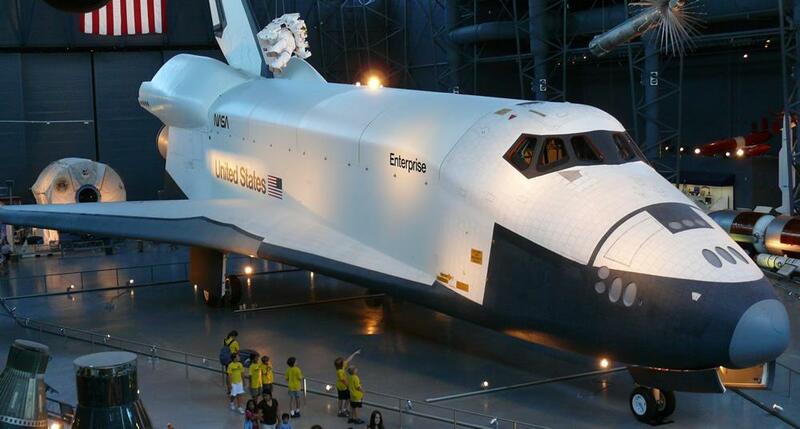 The shuttle was previously housed at the Smithsonian Institution in Washington D.C., but the giant spacecraft will be kept at the Intrepid Sea, Air and Space Museum on Manhattan’s west side in the future. According to Intrepid president Susan Marenoff-Zausner, she stated the new addition to the museum will be “the largest and most significant space artifact in the entire Northeast.” She continued “When somebody comes to visit, they will not only see the shuttle itself, but will have an engaging and interactive experience inside the pavilion.” Officials at the Intrepid plan to construct the pavilion over the spacecraft during the next two months and open up the attraction to visitors by the middle of July 2012. The Enterprise will remain at the Kennedy Airport until early June. At that point, the shuttle will be placed on a barge and transported along the Hudson River to the Intrepid. While the Enterprise has never been sent into space, NASA used the craft to train astronauts during test flights in the atmosphere in addition to conducting experiments while the aircraft was grounded. Other NASA spacecraft are being transported around the country for display after the shuttle program came to an end last summer. 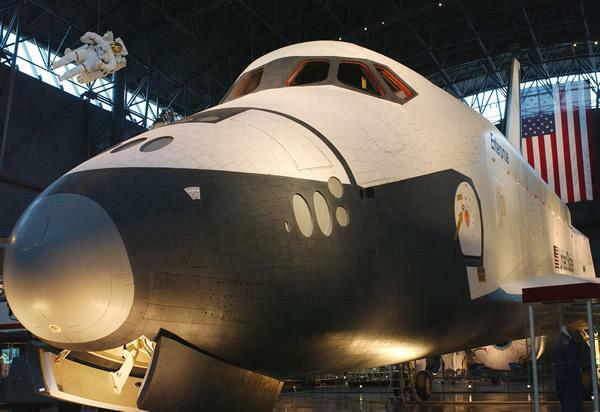 Taking the place of the Enterprise in the Smithsonian, the space shuttle Discovery already traveled to Washington D.C. earlier this month. In addition, the space shuttle Endeavor will be shipped to the California Science Center in Los Angeles this fall after an aircraft hangar is built to house the craft. The nearby state-run museum is also planning to build a permanent Air and Space Center with the Endeavor as the main attraction. 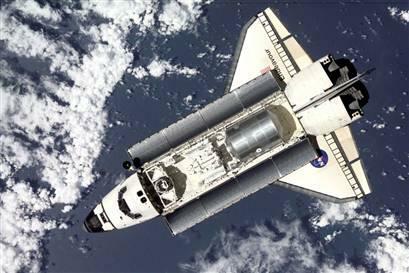 The space shuttle Atlantis will stay in Florida and be displayed at the Kennedy Space Center Visitor Complex. The $100 million exhibit is expected to by completed by summer of 2013. The new displays in New York City, Los Angeles and Florida are expected to increase visitor revenue significantly. According to Marenoff-Zausner, the new Enterprise display at the Intrepid Sea, Air and Space Museum is expected to increase annual visitors by 30 percent over the next year.